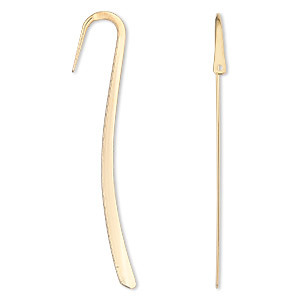 Bookmark, gold-plated steel, 5-inches long with 1.5mm hole. Sold per pkg of 12. Item Number: H20-5547FY Have a question about this item? Keep your place with style. 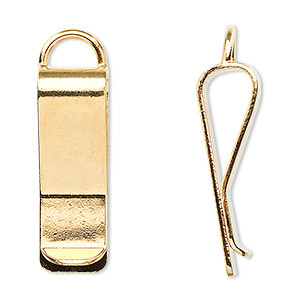 Gold-plated bookmarks are ready to be embellished with tassels, beads, charms and more. Slim profile fits conveniently into books. 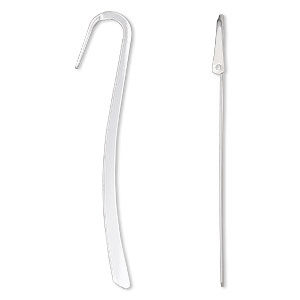 Durable, steel base has an approximate 1.5mm drill hole on the "hook" for attaching embellishments. 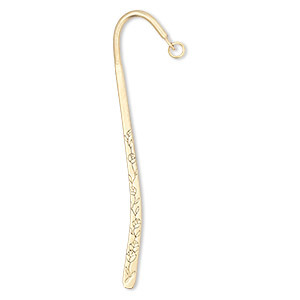 Bookmark, gold-plated steel, 3-3/8 inches long with 1.5mm hole. Sold per pkg of 12. 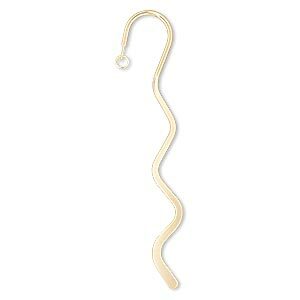 Bookmark, gold-plated steel, 6-inch wavy design with 1.5mm hole and 8mm open jump ring. Sold per pkg of 2. 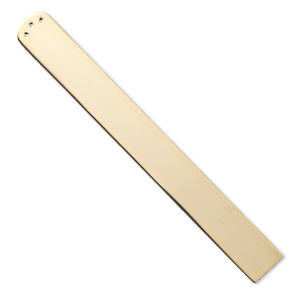 Bookmark, gold-plated steel, 5-1/8 x 9/16 inch with (3) 1mm holes, 1mm thick. Sold individually. Bookmark, silver-plated steel, 5-inches long with 1.5mm hole. Sold per pkg of 12. Bookmark, brass, 5-inches with double-sided engraved flowers. Sold per pkg of 2. 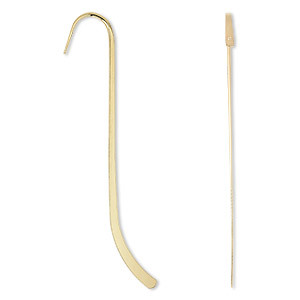 Bookmark clip, gold-plated brass, 30x10mm with loop. Sold per pkg of 10. 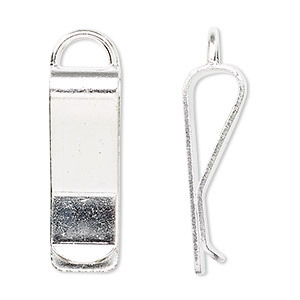 Bookmark, silver-plated steel, 3-3/8 inches long with 1.5mm hole. Sold per pkg of 12. 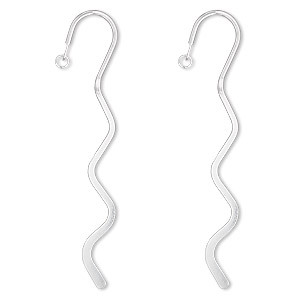 Bookmark, silver-plated steel, 6-inch wavy design with 1.5mm hole and 8mm open jump ring. Sold per pkg of 2. Bookmark, silver-plated steel, 5-1/8 x 9/16 inch with (3) 1mm holes, 1mm thick. Sold individually. 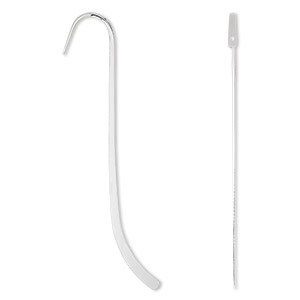 Bookmark clip, silver-plated brass, 30x10mm with loop. Sold per pkg of 10.